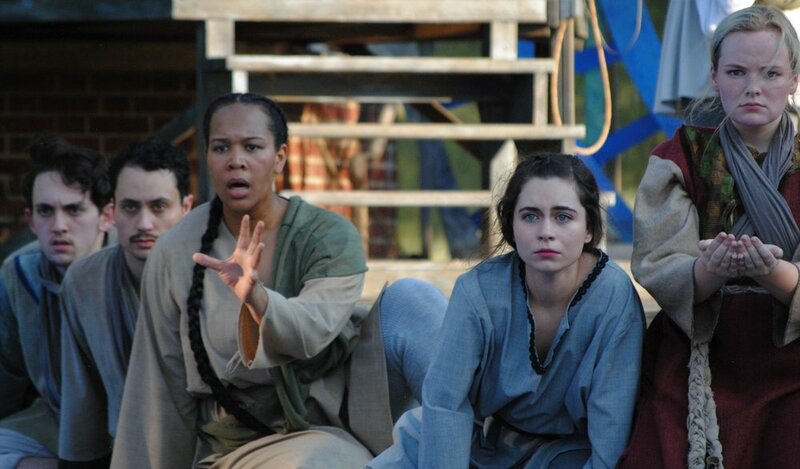 Capital Classics, a non-Equity professional theatre company, was founded in 1991 to enrich the cultural environment of Greater Hartford through the theatre arts. We are committed to providing classical entertainment that is affordable, accessible and engaging; serving the community with cultural and educational programming; and providing job opportunities and training to Connecticut's professional theatre artists. All classically rooted productions are investigated beyond the written word in order to best communicate the universal and entertaining elements of the story. The company focuses on telling the story as genuinely and passionately as possible. Actor training is crucial in achieving this goal. Rehearsal time is devoted to textual analysis and extensive physical and vocal training, insuring that the production is both active and audible. Multicultural casting is a primary goal for all programs, as it brings greater truth and dimension to a production and accurately reflects the reality of the community. The merging of art with entertainment is a crucial aspect of the company's artistic vision. Each production combines artistic truth, passion, and accuracy with live music and dance, physical comedy, and a colorful and fanciful set and costume scheme. This combination lends itself to theatre that is meaningful, festive, and accessible. We stand behind the Bard with all that we have got to give!